We're 50! Help us celebrate by flying your OCCA 50th anniversary colors! All funds raised will go directly to OTSEGO COUNTY CONSERVATION ASSN INC .
Get it while you can! 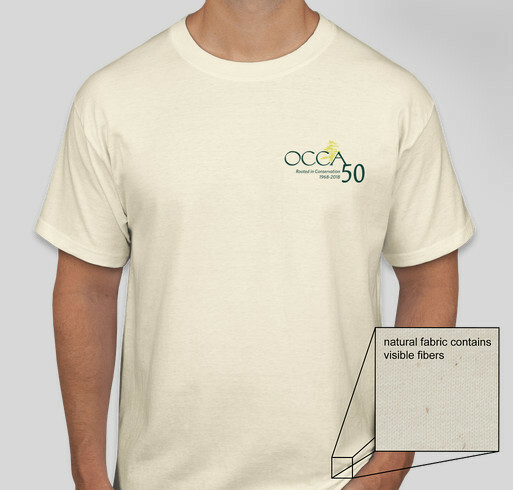 Limited edition OCCA 50th anniversary merchandise. Only available here!! OCCA has been helping preserve Otsego County's natural resources for a half century. We've been instrumental in educating our citizens, setting up recycling efforts for the county, providing environmental policy and planning help to our local municipalities, and getting valuable research efforts done to determine the state of our environment for 50 years. Help us continue this mission for another 50 years and beyond by buying your exclusive 50th anniversary merchandise here!!! Share Why You Support "50th Anniversary Shirt Fundraiser"